Flames destroy a multimillion dollar house. Flames destroyed a Westbrook mansion on Tuesday night. Three firefighters were treated for injuries when extinguishing the fire on Captains Drive. No one was home when the fire began, officials said. 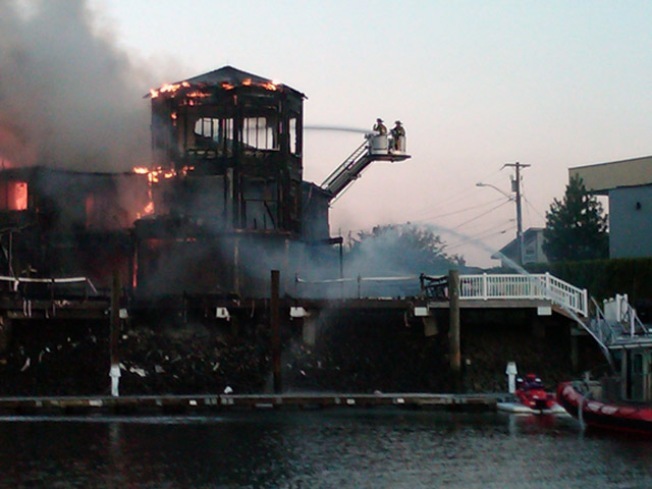 More than five dozen firefighters from five fire departments responded to the fire and two fireboats were needed to bring the blaze under control. The Day of New London reports that the house was 54 Captains Drive. According to Trulia.com and élan magazine, the 5,000 square foot, four-bedroom house sold on Oct. 21, 2009 for $1.9 million.